Previously we discussed some possible underlying reasons that both the Kohen and the Levite might have passed over the man left half dead in Yeshua’s parable. First, we looked at some halachic (legal) issues which seemed to justify their doing so. But then we followed that up with the Talmudic obligation to not pass over a possible corpse, based on a deeper look at the biblical prohibition against corpse contamination for the Kohen in Leviticus 21. Now we will turn to examine Yeshua’s choice of hero in this parable. In Yeshua’s day, his audience would have understood the progression of Yeshua’s characters going from Kohen to Levite, and would have anticipated the last character to most likely be a common Israelite. However, Yeshua, the master story teller, puts an unexpected twist into the storyline by removing the anticipated character of the Israelite and replaces him with a Samaritan, one of the most unlikely candidates they could have imagined. 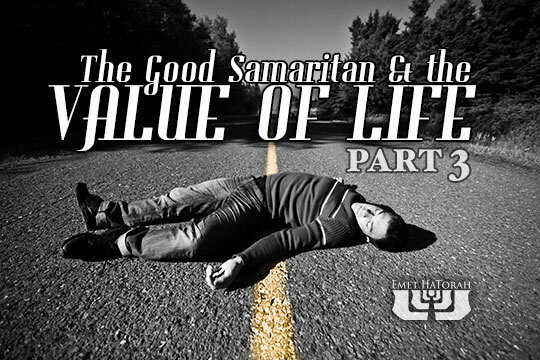 Who were the Samaritans? Well, their history is not completely clear, but we do know a few things about them. First, they are most likely a people of Jewish descent, but who intermingled with many other people groups through the Assyrian conquest of Samaria and became an ethnicity of their own. In 2 Kings we read that after Assyria conquered Samaria, the king of Assyria deported a large percentage of the population, but allowed a few of the Israelites to remain in the land. He replaced them with people from “Babylon, Cuthah, Avva, Hamath and Sepharvaim” (2 Kings 17:24). According to this account, after the foreigners had been transplanted into Samaria the Lord sent lions among the people, because they did not fear Him. The new residents sent word back to Assyria that they needed to know how to appease the God of this land, so they were sent one of the Kohanim (priests) that were taken captive in order to teach them how the God of Israel was to be worshipped. However, from the biblical account, their worship of the God of Israel was not pure, but combined with the worship of pagan gods. May we never allow our observance of God’s commandments to be an excuse to devalue another human being. May it always serve to remind us to love every individual “as ourselves” to the best of our ability and with the strength of Heaven.